I believe that jewelry is more than just a fashion accessory. I believe that jewelry is more than just a fashion accessory. The right jewelry has the power to enhance a woman’s unique beauty, elevate her style and totally transform her look. 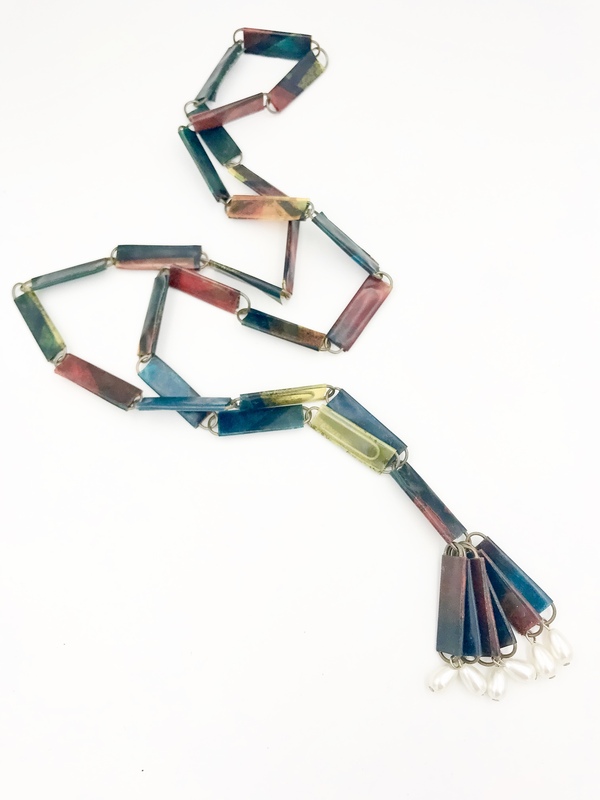 I carefully design and handcraft each piece using fine quality natural gemstones, pearls, raw diamonds, one-of-a-kind antiques and precious metals. 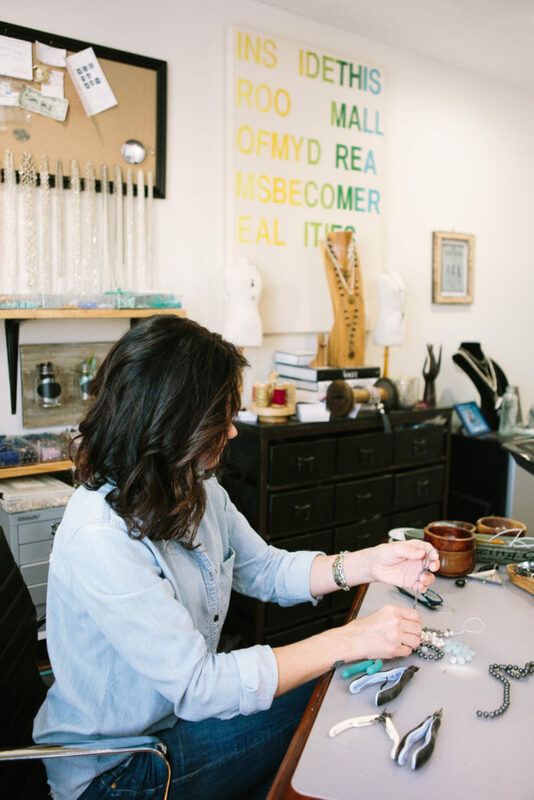 Oie jewelry has a timeless, heirloom quality, but a definite up-to-the-minute appeal. This juxtaposition is evident in the unexpected but harmonious designs. You’ll find luminous pearls paired with rustic leather or sparkling diamonds complementing an ancient coin or talisman. Authentic rare coins, medals and other thoughtfully curated treasures from around the world and throughout time become cherished adornments and expressions of your own personal style. When you choose Oie, you are choosing more than just a piece of jewelry. Whether it’s a cool antique medallion that takes your look from everyday to effortless chic or that special piece that stuns with your evening ensemble, you're sure to turn heads. When you wear Oie jewelry, you are expressing your uniqueness and individual beauty to the world. Your story becomes part of my story and creative vision. We share a connection to the people who cherished or beautified themselves with these medals, coins, beads and talismans before us. I realized early on that I have the innate ability to bring the worlds of fashion, beauty and art together through jewelry design. My mom and my grandma were always on the cutting edge of fashion and I understood the transformative power of jewelry from the time I was very young. My grandma loved to tell me about all the compliments she received when she wore the tassel necklace that I made for her when I was 7 years old. 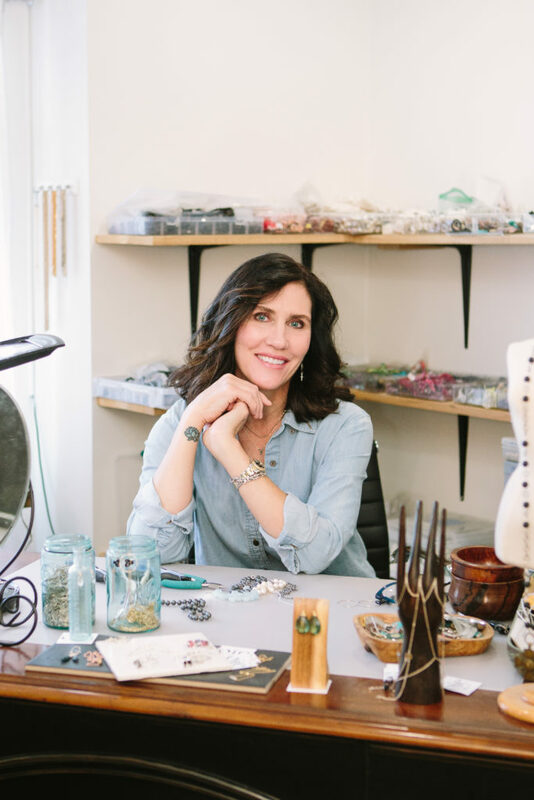 Although I have honed my skills and now seek to acquire the most beautiful and rare components, my mission has remained the same- to create high quality, stylish jewelry unlike any other, encouraging women to express their inner beauty and exude a certain confidence. I invite you to browse the updated tassel necklaces and other unique jewelry and discover what speaks to you. contact paper & “faux pearls”. 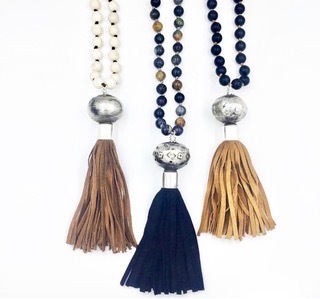 My current tassels combine globally sourced antique silver with suede on a hand-knotted strand of gemstones or pearls for a modern yet timeless vibe.